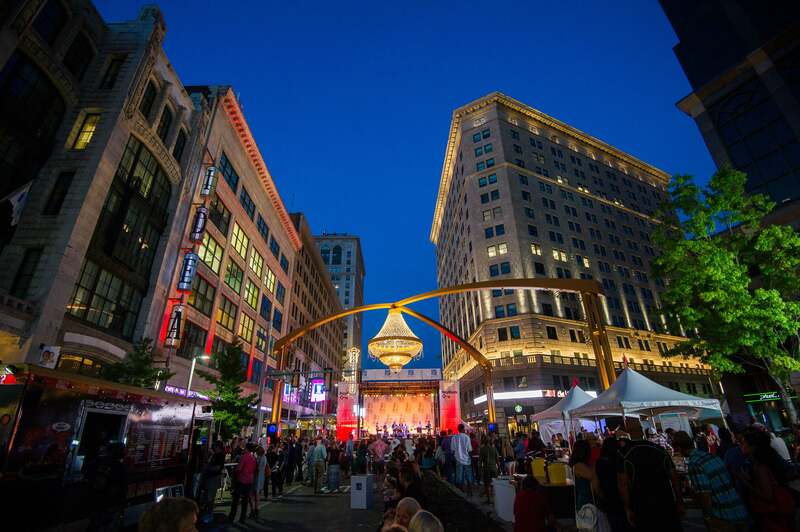 Playhouse Square’s area development mission is closely tied to entertainment, which is the core of what we do. The stages are what draw people to the area, but not without dining options, a place to stay, adequate parking, businesses, cleanliness and safety. People seeking a home for their business or looking for entertainment expect an active, thriving area. Acting as an economic engine for downtown by taking on the role of developer for the area around Playhouse Square is one we are compelled to play in order to provide a lively, welcoming neighborhood for our visitors. We are committed to using our assets for the greater good of the Playhouse Square neighborhood and businesses, downtown cleveland and all of Northeast Ohio. Our commitment to this area is deep enough to have established a real estate division known as Playhouse Square Real Estate Services. The focus of this division includes managing and leasing properties owned by Playhouse Square, acting as consultant on area renovation, construction and historical preservation, acquiring properties near the theaters for repurposing, partnering with regional organizations to develop, maintain and enhance the downtown areas relevant to the theater neighborhood, and spurring other area development projects such as the co-development of the Crowne Plaza Hotel, the East 14th streetscape and the redevelopment of Euclid Avenue. For more information about Playhouse Square Real Estate Services, visit playhousesquarerealestate.com.